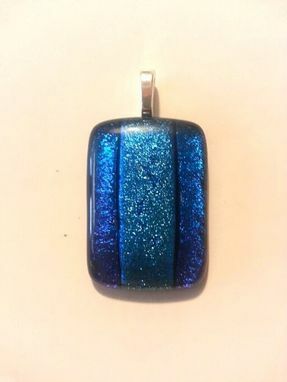 Approx 1 inch x 1 1/2 inch pendant with silver plated bail, light and dark blue/purple dichroic glass.Handmade by me, Rachel in my cape canaveral studio. All of my work is signed RJK. 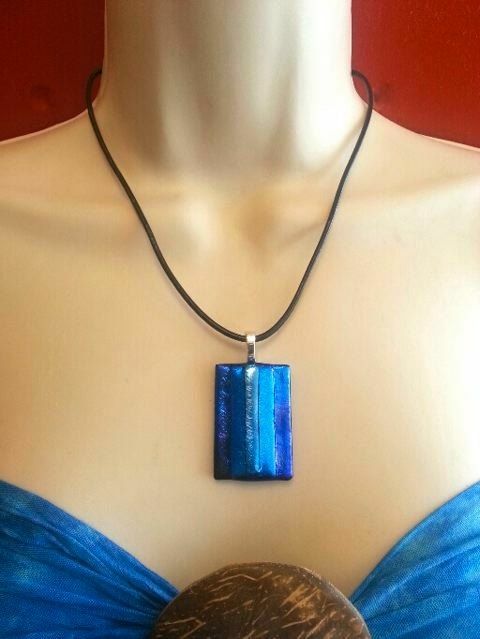 Comes with a 17"inch long black leather neck cord. (If requested) please let me know when you make the purchase. 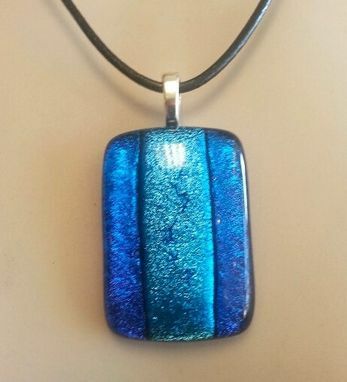 Dichroic Glass is a fused glass process using layers of glass with precious metals & oxides including gold, silver, copper, chromium, titanium, aluminum. 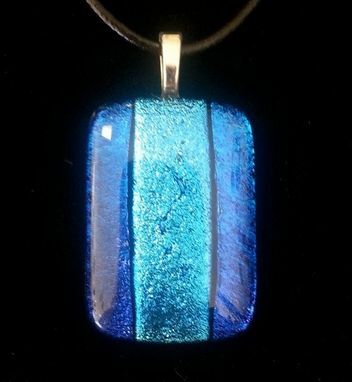 The word "dichroic" means "two colors" due to the mercurial nature of the metals in glass. Incredible Heat flashing puts them into the gem family.